I began searching far and wide for that perfect boat, or should I say, as perfect of a boat as we could afford. I had my requirements. First and foremost, it had to have a self bailing hull. I wanted to be able to take it off the beach for cobia, tarpon and maybe even a slimy king when the weather was nice, and didnt want to sink if I took some waves over the bow. Second, I wanted to be able to start fishing inshore tourneys. 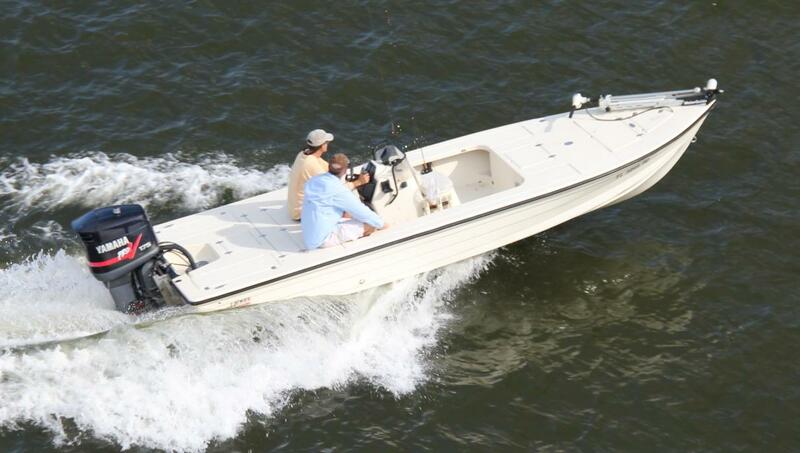 My idea of an inshore tourney boat was one that could draft less than a foot of water, and top out about 50mph. I felt that was what I needed to even stand a snowballs chance. Sure, there was a lot of boats that fit these parameters, but I was ballin' on a budget. I was looking to find a deal and pay cash under $10G, and that was what limited the choices down to only a few.... an older model would have to work. I searched far and wide... I looked at Hewes, Ranger, Action Craft, Backwater, Pathfinder, etc. to fit the bill. It was ultimately my boat dealer nieghbor Nate that found my deal! He calls me up one day and says "Maaaaaaan, I found your boat! This is the one man, if you dont buy it, I will." So we arranged to meet with the seller, and checked out the boat from the hull to the engine, and all the goodies in between. I was nervous, because the boat was in kinda bad shape. Scratches everywhere.... the boat looked like it had never been cleaned, among other minor issues that were kind of a red flag. But that was why I was getting such a steal. We took the boat out, and I ran it hard. She ran like a top! The owner knew what he had, and was ready to sell now, and Im normally a pretty good negotiater. 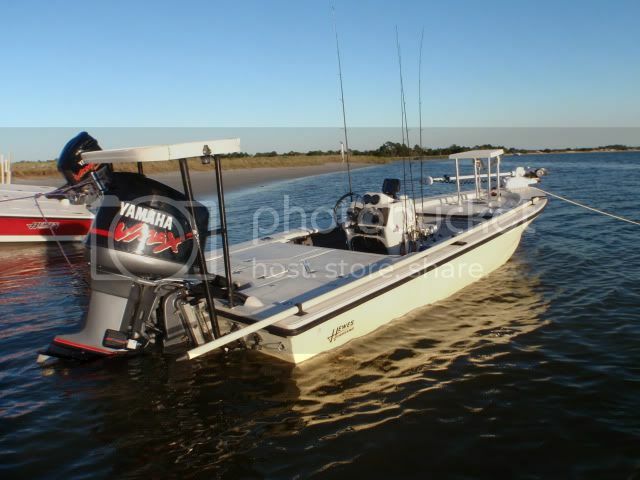 He wouldnt budge on the price, but I wanted the boat and Nate assured me it was a steal.... so the deal was made! 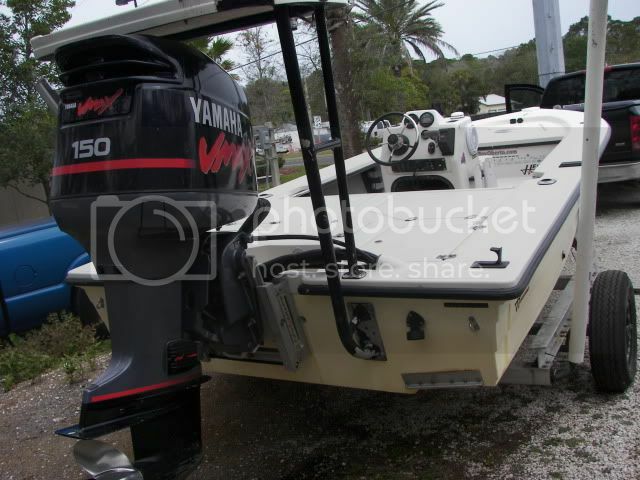 Shes a 1998 18' Hewes Redfisher, with a 2006 Yammy 150 with less than 250 hours. I cleaned her up good, repaired minor wiring issues, etc, and spent every single spare second I had on her for some time. 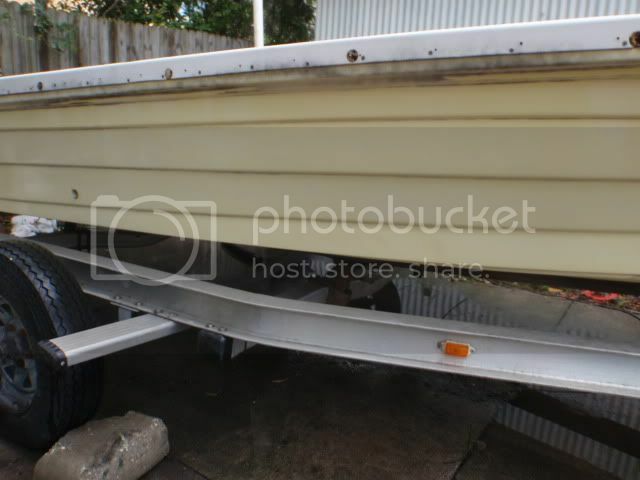 I camped on this boat for entire weekends.... I fished her hard everywhere from the skinniest flats to big nasty waves off the beach, and learned everything I could about it. Turns out, in my case, she was the perfect choice! Anyone that is familiar with flats boats, knows this boat. She gets skinny, goes fast, is economical, and rides like a dream. The perfect boat for a restoration! So I tell my friends Im about to tear her down.... and everyone thinks Im plumb crazy. "Why would you take apart a perfectly good boat?" everyone asked. Believe me, I cant stand being without my own boat I can take off in and do just about anything with in our local waters. Cobia season is here.... "why now?" my boys asked. Well, after cobia, it will be tarpon. After tarpon, kings. After kings, reds.... then flounder.... then sheepshead..... then schools on the flats.....then.... you get the point. There is always something to fish for here! I have to do this and get it over with or it will never happen! So that is her story, and now her "second life" will soon begin. Stripping was the easy part. I had the motor, jackplate, all pumps, wiring, console, etc.... basicly everything in the entire boat out in the better part of a day. Then a great sadness came over me. "WHAT HAVE I DONE!!!!!" I kept thinking to myself. I know from the last boat I overhauled, building my last skiff took a lot longer (and a lot more money) then I had planned. You see, Im good at the rigging part, but glasswork, paint, engines, etc is not exactly my forte. Oh well. Its time to get serious and roll them sleeves up! So soon I was looking at all the dang holes all over my boat. Here Greg is doing the similar treatment to a ding I had in the keel, right now he is "painting" the cloth strip with resin. 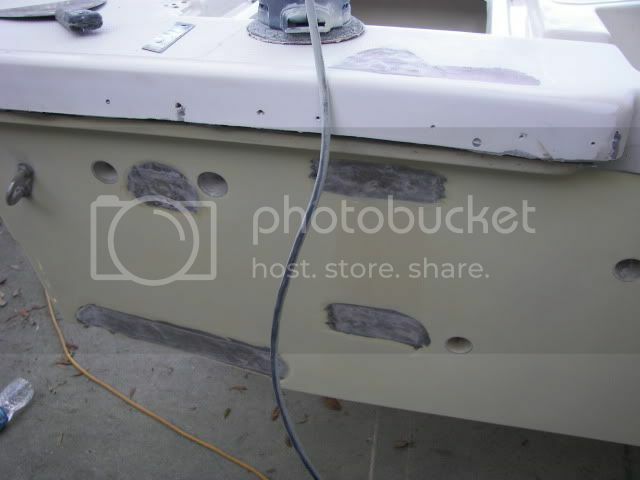 Those holes on the transom? They were filled with thickened resin, covered with cloth, and sanded as well. Yes siree, I covered the tab holes up. I do not feel that tabs are needed on this boat. She jumps right up onto plane, she never porpises, she runs level on every load I can throw in her. 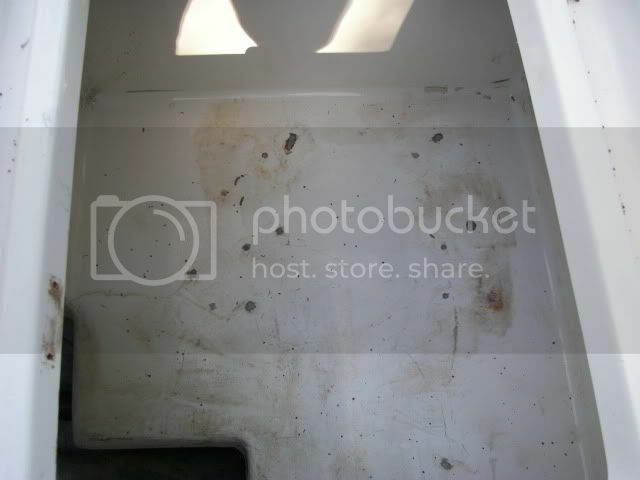 Id rather save the wieght and room, no tabs for me on this boat. Ive ran the boat plenty at this point to feel 100% confident with this decision. 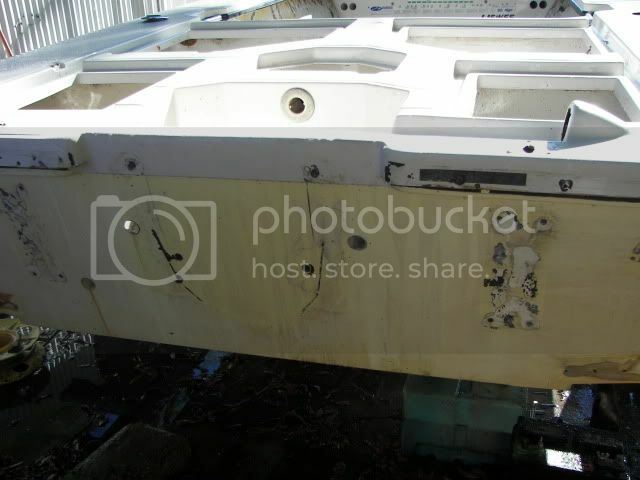 Here is the transom with every thing except the engine bracket (jackplate) holes repaired. I started to tackle the console myself. 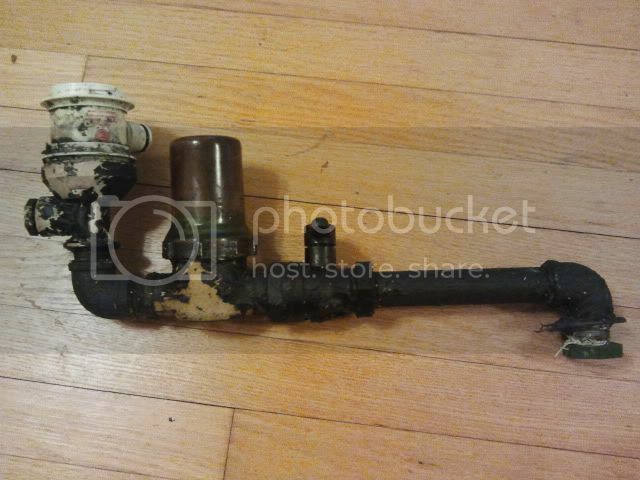 Here it is before repairs, Ill update this one asap. 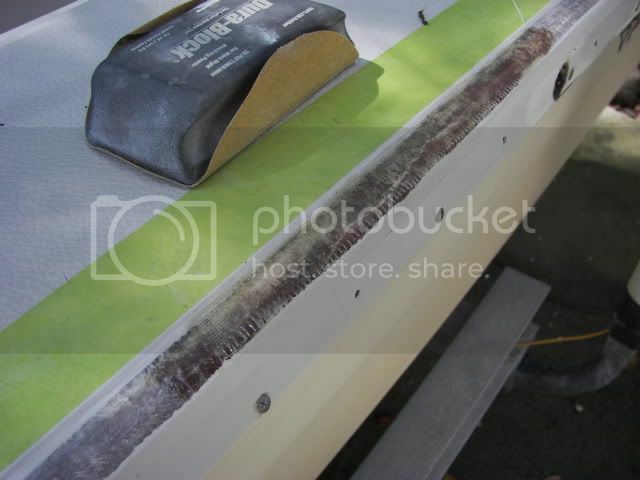 On the hull, sanding, fairing all the scratches and dings, and then sanding again and again, each time with a finer grit, is quite the task. You've gotta have a good air compressor, a good sander, really good paper, and a whooooooooole lotta elbow grease. 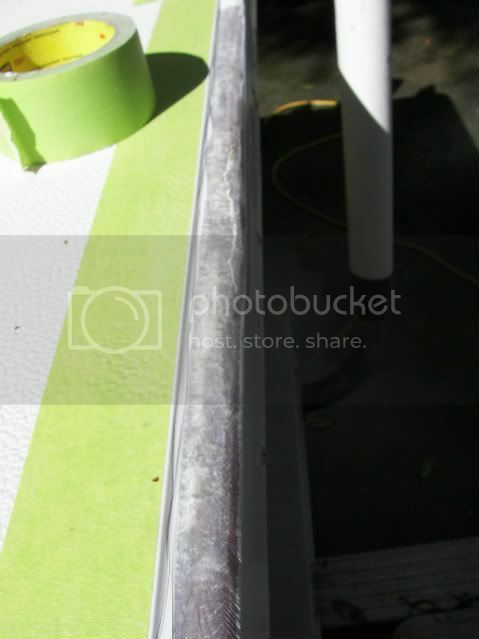 Here you can see how we've hit the entire hull with a light splash of black spray paint, so we can easily see where we have sanded correctly. We've got it about 3/4's done so far, but havnt taken pics yet. Ill update when the hull is 100% smooth again. Now, the cranking battery will be moved to the console for better wieght distribution, and corrosion protection. Now it wont be near saltwater if any ever gets in the bilge. No more random holes now! So the main reason Im doing all this is to have a clean platform to use to show what a flats boat's wiring and rigging could be. The original factory harness was discarded with every thing else. 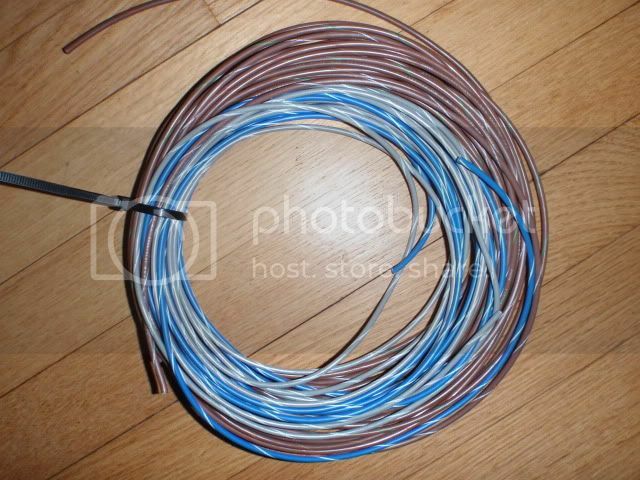 I scoured the web for hours trying to find one place that had all the original wiring colors. That search ended up with one result, Pacer marine. 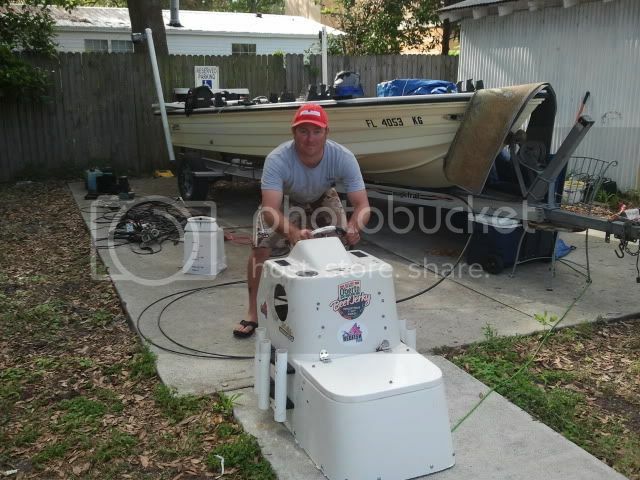 This is the company that supplies the manufacturer, MBC (Maverick Boat Company). Unfortunately, the minimum length they sell is 500'. So I contacted MBC and they said they would sell the lengths I need to my local MBC dealer, Atlantic Coast Marine. MBC was slow, it took about a week and a half to get my wiring, but no biggie. 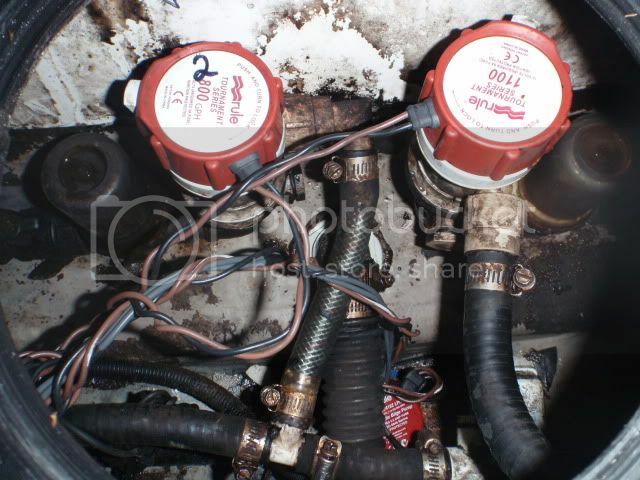 The good news is, all the wiring to replace the original harness and supply all the pumps, accessories, etc, was only about $75! Now I have all the original, hard to find colors like brown/yellow, brown/green, brown/red, etc. So in the original setup, MBC, like allmost all other production boat companies, uses molex connectors to piece the wiring together. That way, they can have a pre made dash harness, that quickly plugs into the boat harness, etc. During production. 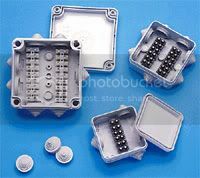 The problem is, these large plastic connectors that connect many wires are highly corrosion prone. They tend to hold moisture, and are usually one of the first places on the boat to start causing wiring problems. So this boat will have NO breaks in any of the wiring. Every accesory, pump, etc, will have a direct connection to its switch or fuse. One cool thing Im doing is the "smart box" that will be in the aft compartment. This is where every connection in the aft of the boat will be. 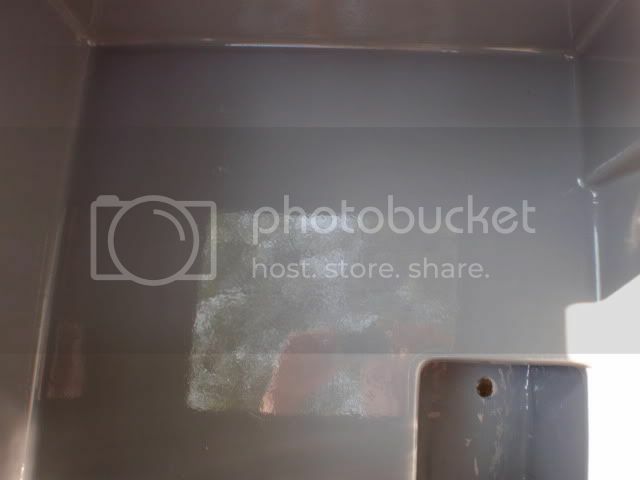 Basicly, its a waterproof box that will have terminal strips in it, where my wires will terminate to the pumps with heatshrink connectors then coated with corrosion block and liquid electrical tape, which Ive found to be the toughest connection possible. This is my attempt to create bilge connections that will never have to be replaced again. The box will also feature a labeled panel, with leds to indicate when voltage is present, so there will never be any guessing or trouble shooting nessasary if a problem should ever arise down the road. 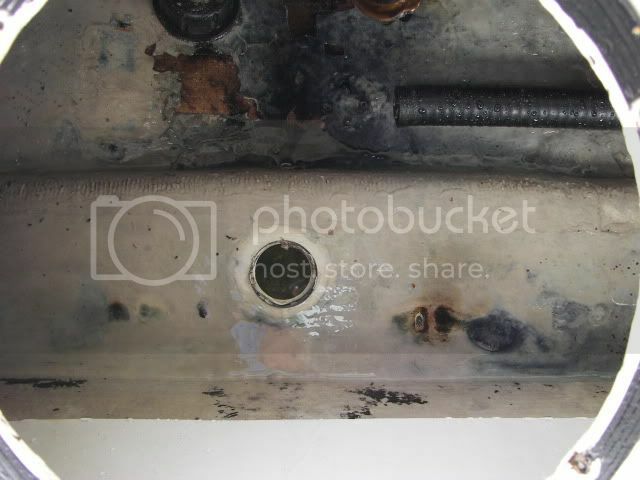 The bilge connections are the weakest point in most boats electrical system, but this one will hopefully be impervious to saltwater corrosion. 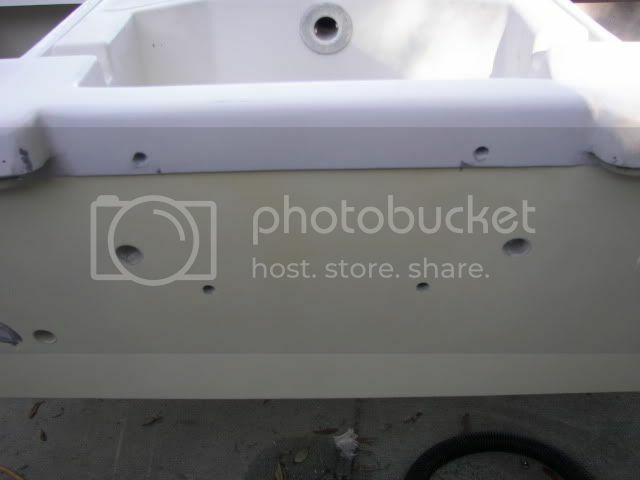 I cant wait to build the first "smart bilge box", hopefully it will start a trend. On larger military boats, these things are required. 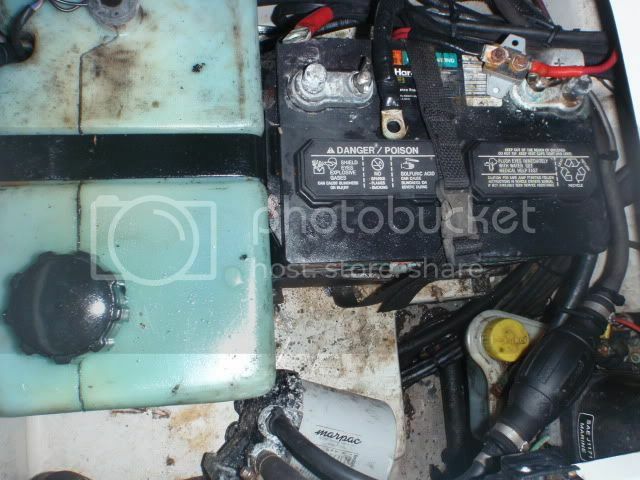 (minus the labeled panel and leds) so I guess its nothing new.... just never seen anything like it on a flats boat before. Ive got a bunch of crazy ideas that I will attempt to tastefully pull off in this "experimental" rig of sorts.... so please offer any suggestion you may have, or tell me Im plumb crazy like my friends do. Im pretty busy with spring right now, so updates will be slow, but I will post as we make progress! Please don't try to interject with reason, it only further confuses the matter. This is the pump setup I had before. In the maze of crap that was in the bilge, I wouldnt be able to access my seacocks quickly if a pump or hose was to ever break. its good to see you are redoing the ole yellow girl. that boat was good to us and boated a ton of fish in it, and im sure when you get done it will be good to you also. 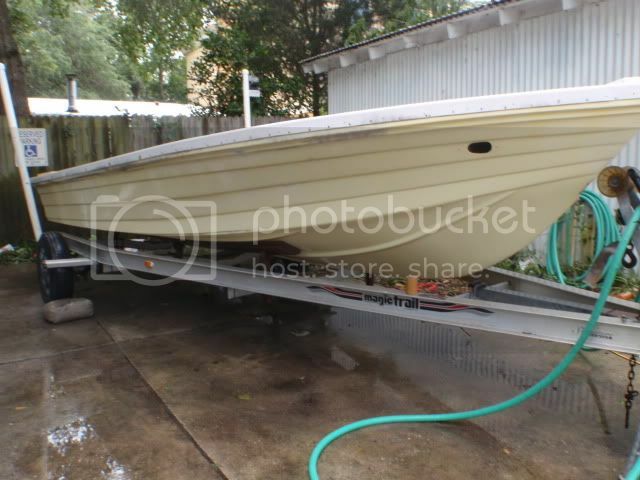 and yes you got a steal, still a little bummed he didnt let me know it was for sell but i already have a flats boat and the wife would have killed me if i brought another one home. Sounds like you're putting alot of thought into it. I really like the idea of the LEDs. In my work I troubleshoot equipment and I can't tell you how much quicker that is on newer equipment with control boards that have LEDs on them telling me where to start instead of taking out the meter and checking one at at time. Yes sir, Im happy. She seems to have some good ju-ju, thats for sure! Thanks brotha! Ill post progress as it comes..... prolly should have picked a better time than "busy season"... I dont ever have time to mess with it! Your crazy. But you have peaked my interest. Keep it coming. So progress has been slow, as I have been slammed all year. But it looks as though things are finally slowing back down to a "normal" pace. Since I havnt had time to dedicate myself to it, I have recruited more help. Luis, a.k.a. "TopwaterTed" has been helping me to sand her down. Hes made some serious progress, and at this point the hull is almost done besides a bit left on the bottom. I was pleasantly surprised by how thick my gel coat was applied, we were able to completely sand out nearly every scratch without cutting through to the glass! Now its detail work, and I begun tackling that today. Hatch gutters, the hatches themselves, etc. I have scheduled time for my boat next week, so I can make some major progress! I cant wait..... soon the fun part will finally begin, putting it back together again! Im really excited to be doing a few things never done in a flats boat before, and have finalized plans for the "smart bilge box" and "smart charge" on the run charging system, and will begin building the prototypes soon. Im also recruiting Buddy Barnes to see what he thinks about my console build up idea..... I need room for flush mounted electronics, and a couple speakers! Chopping the top off the console and reshaping it completely is out of my fiberglassing league, so Im callin in our areas best master. Ill keep you guys posted as soon as we make some more progress! I cant wait to see this project on tuesday. Ive done a lot of soul searching and talking with Buddy..... Ive decided to let the expert do what he does best instead of me trying to do it! Buddy is our areas best at glass and paint, and Im really excited to have him involved now! Now I know this entire project will come out first class, instead of having a half a$$ paint finish on it! On my boat I went bronze where it was not visible, and stainless where it was (mainly scupper holes). Sa-weeet lappy! I'd go with bronze from what I read, but I would have to question what would you gain going with SS.? Assume your going with sealed cell batteries under the console. That is going to be one sic lappy. Can't wait to see the end results. Tony, I wanna hear more about this charging system! One thing that really annoys me on my skiff is the fact that i'm limited on my trolling motor use. It would be so nice if my alternator charged my trolling batts while running from place to place. I would imagine there's a smart switching device that would switch from the house/starting battery to the trollers as needed? What would you charge me to do something like this? You sorta know my boat and it's layout, so let me know what you think. I should also probably switch out my Interstate batts for something sealed. I think both will fare well, the stainless just tends to look better over time. Thus my approach. I'm also going to get rid of that Fusion amp for a dedicated Fusion deck, so I can have more control over volume and sound levels. The box I got for my iphone is pretty slick though, so i'm going to keep that and get the non-docking stereo. Even though it's not a digital amp, which stinks. I don't hang out under my boat staring at the bottom but if I did I'd like to see polished brass better. I like the bronze for this app. Personal preference I guess. Sweet ride either way! I guess just looks for the stainless, and lighter pockets! Sealed batteries in the console. Thanks! More on this later..... I gotta torture test the hell out of it before I sell them to anyone! So I just ordered $500 worth of bronze fittings and pumps, OUCH! Since I couldnt get everything in stainless, I went the bronze route. Apollo and Groco fittings and valves, shurflo 1100's with the larger lines too. Even got the fancy shurflo fully adjustable valves, this setup will supply far more water/aeriation than I could ever need. I also got a 2000 gph Shurflo bilge pump. I wasnt playing around! 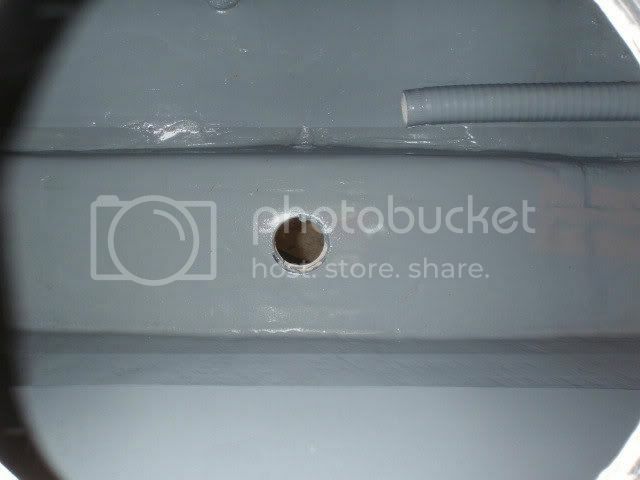 Ive also got a check valve since my lappy's bilge exit sits kinda low in the water. Along with an unjammable digital switch, this setup was as good as I could possibly dream up. So how much do you want for it when you're done. Tony, work me up a quote when you find the time for the AC. No hurry, I know you're busy. I'm getting the small Fusion deck and keeping my digital Fusion amp. That way i'll have charging and better sound control....and an actual volume knob! Good chioce sticking with Fusion..... as for the charging system, thanks for your interest, but it will be quite some time before I will feel comfortable selling to the public. On paper, it seems fool proof. But I will have to build the prototypes, and torture the hell out of a few of them first. Then I will feel confident in them, and try to approach a few companies to see if they are interested. If not, Ill just build them as needed. We could've worked in parallel last year... I rebuilt a '96 Hewes 19 Redfisher, and went through almost everything you've dealt with, from rebuilding the hull/cap joint, to replumbing the pickups, to a complete re-wire job. She makes frequent appearances in FS Magazine. One wicked little fishing machine... If you're ever trailering down to Stuart to fish, Tony, please drop me a line, [email protected]. Would be fun to trade notes on the boats. Man, I would love to see the details! Is there a thread or pics I can check out somewhere? Id love to chat about it too. 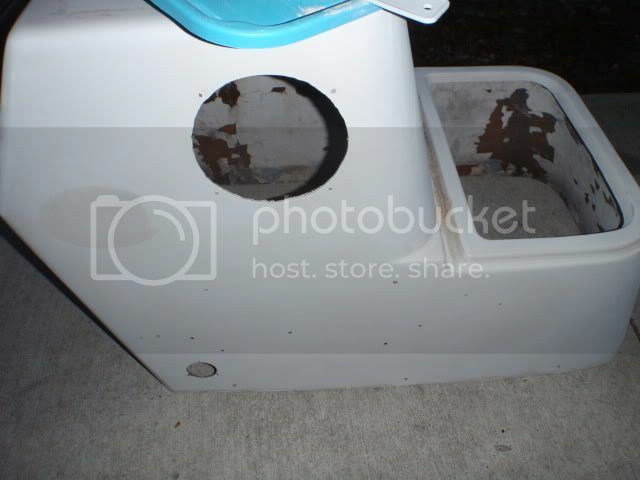 Here is the waterproof bilge connection box I ordered today. Ill take out the crummy terminal strips and exchange them for some beefy Blue Seas models. Then I'll terminate and heatshrink all my pump connections to the new custom harness inside this box, then paint the terminals with liquid electrical tape. The dang boat could sink and the bilge connections would stay perfect, lol. Ill spruce it up by adding a labeled cover panel, along with some leds. This way if a pump should stop working down the road, the led on the box will show if power is present at the pump connection or not, denoting the wiring, or the pump its self. Each sealed helm switch will have an led hooked to its output, so exact troubleshooting will be done with one quick glance at both leds should a problem ever arise. That and its just gonna be plain freakin' sweet! Even though you mainly want to show off the wiring and rigging, first thing the eyes will see is the paint job. A good paint job is 99% prep. LIke you said, why go through the pain of all the prep work just to end up with a half a** paint job. 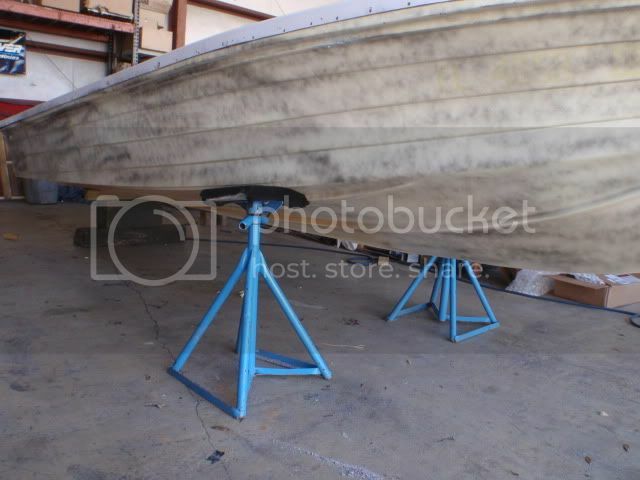 You want this boat to shine and be perfect inside and out!! Perfection takes patients and time......lots of time. 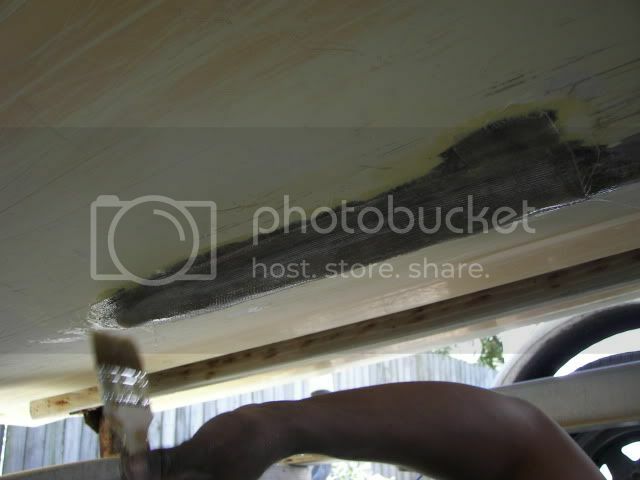 I used to do restoration of cars.....trust me, I know how hard it is to want to see the end results. Short cuts are not good!!!! Short cuts produce a poor product. 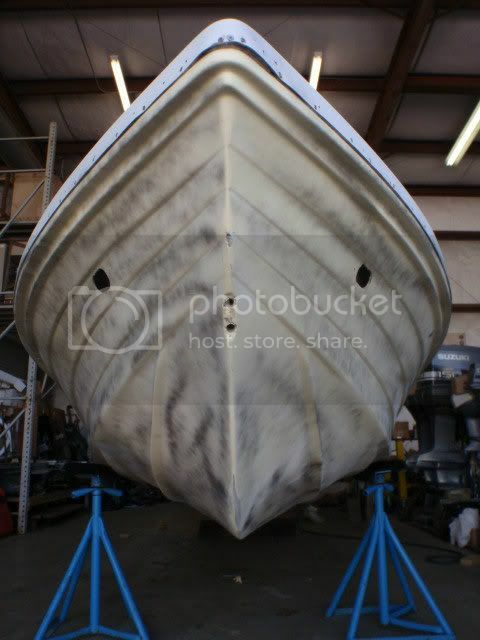 As far as your other reply about, How much do you want for it when your done, not everything has a price..... You poor your heart and soul into something, like this boat, is there really a price?? Use it, enjoy it, show it off to help your company.....selling it somewhere down the road to do another project is worth it. Thanks bro! There are moments when I wish I just had a bunch of money to throw at it, and get it done tomorrow. Unfortunately, just the opposite. I'll have to buy the replacement parts one by one, and install them as time and budget allows. I couldnt tackle this project without doing 80% of it myself, and having a team of several of N.Florida's finest marine guys helping me. 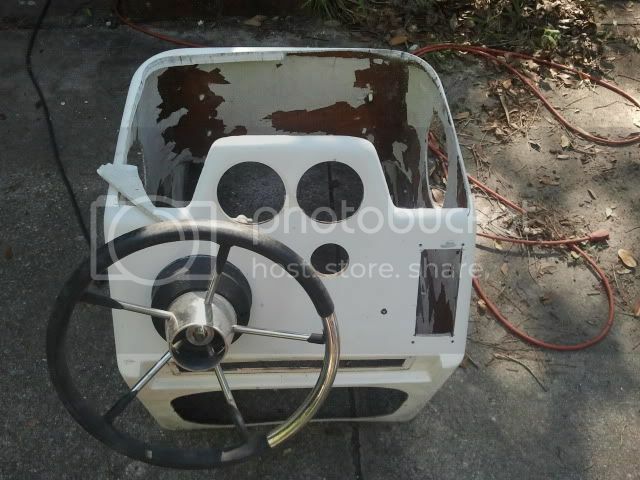 Right now, my boat is spread all over Jacksonville, and is becoming a who's who of the local marine industry..... Mike Manier, the most awesome mechanic around, is massaging and baby sitting my engine, lol. Buddy Barnes is reshaping my console completely and guiding me through the final stages of prep, and then finally painting the whole boat, while Adam @ All Aluminum Concepts is building a newly designed platform, and a few brackets I havnt told him about yet..... Then finally, Ill put her all back together again one piece at a time. Patience! I need a ton of that right now if anyone can loan me some! That and some sanding elbows... if anyone wants to trade labor let me know, lol. Now if I could only decide on the color scheme, lol. Wait a second, are you trying to say something about the last skiff I painted? My heart and soul was in that paint job! It just so happens that niether my heart nor soul knows much about painting, lol. I was gonna go for it though...... but Im glad someone talked some sense into me. keep some pics comin, eh? Soon, I promise! To hold you boat lovers over though, Im about to post up some footage this weekend of an overhaul we recently did on a classic Seavee...... folks are gonna love her! She was done right, with a new deck and casting deck built up in the front, new paint, new upholstrey, new t-top, new rigging, etc. One of those timeless classics that everyone loves. Next week though, finally, we will attack the Misstress with some sanding blocks, fiberglass, more sanding stuff, various power tools and a camera or two, lol. Maybe even a paint gun if shes lucky! At Buddys shop now...... hes been working on my console, and has chopped the top off. We're gonna be working hard on the old girl today!